Sometimes, the stars align for a perfect timing. 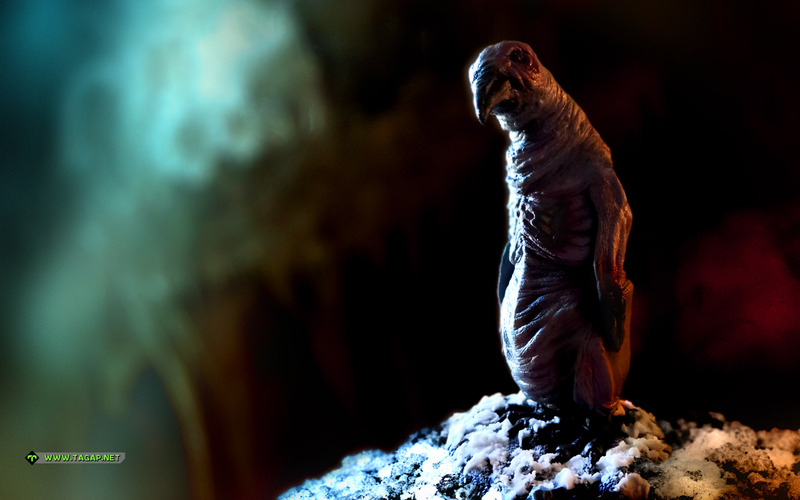 This is one of those occasions – I mean, Lovecraftian Halloween penguin on the release day of the new Call of Cthulhu video game? Indeed – meet H.P. Lovecraft's Albino Penguin, immortalized as a collectible statue by Cthulhu Project! In case you are confused, let's back up a bit. If you are a gamer or a horror geek, you've likely heard of H.P. Lovecraft's Cthulhu Mythology. This fascinating and one-of-a-kind horror universe was originally described and detailed in several short stories and novels by Lovecraft. Though Call of Cthulhu is the best known from these stories, arguably the most influential of them all is At the Mountains of Madness, originally released in 1936. The novella centres on an Antarctic expedition discovering what seems to be ruins of a civilization that predates the Age of Man by untold aeons. Though I won't spoil you what the team discovers in the ruins, it's truly horrifying stuff that has inspired many things from John Carpenter's The Thing to almost everything that was good in Prometheus. "Their size reminded us of some of the archaic penguins depicted in the Old Ones' sculptures, and it did not take us long to conclude that they were descended from the same stock – undoubtedly surviving through a retreat to some warmer inner region whose perpetual blackness had destroyed their pigmentation and atrophied their eyes to mere useless slits." And what you see here is the creation of Lovecraft collectible group called Cthulhu Project and was created as a Kickstarter earlier this year. The statue was sculpted and hand-painted by Marta López – and it is amazing! Seriously, I didn't have to Photoshop much anything here – it really is that detailed! Super-thanks once again to Petja for his excellent photography skills. And seriously, do read At the Mountains of Madness; it is cosmic horror at its finest! Or, if reading isn't your bag, consider getting the excellent audio drama version by the great H.P. Lovecraft Historical Society. Also, as it happens, Cthulhu Project is running a new collectible Kickstarter right now, so give that a look, too. So, with this, we say 'have a creepy Halloween'!